Despite many misconceptions, gap years can give you excellent travel and work experience wrapped into one. Ski seasons are certainly not all about the ski and the apres (although this does play a major part!) Your ski season can make you shine on your CV. For all francophones out there, why not head out to Tremblant, Canada, to work in hospitality. Not only will you be living the high life in a top class ski resort, you will be earning money whilst incorporating French into your daily life. This is a fantastic experience for language graduates or language students who want to take a bit of time out of studying, but who are keen to keep their French at a high level and gain experience at the same time. You will gain great experiences and be skiing like a pro by the end of the season! For those of you with any interest in instructing or teaching or sports coaching, working with kids in Whistler is a great experience. You would be spending your days on the slopes, teaching a bunch of children how to ski. You will be out on the mountain every day, with plenty of time to get out there in your free time too. You will be given the opportunity to take your Level 1 Ski Instructor course, which stands you in good stead for instructing in other countries such as Andorra! Living it up in one of the world’s best ski resorts says enough for itself! Those amongst you who are just keen to do a ski season, there are no reasons why not. 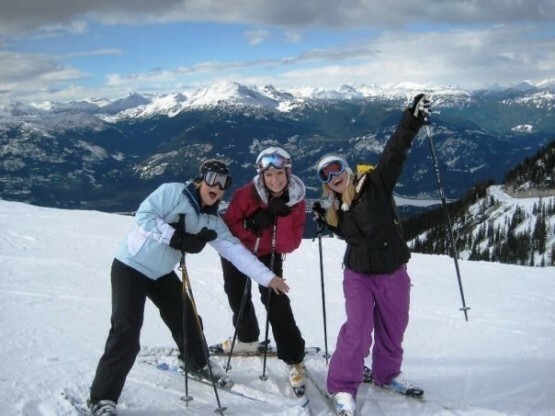 Working a ski season stands you in great stead for other jobs in the future- you can demonstrate reliability, punctuality, teamwork and independence- travelling over to Canada on your own demonstrates much about your personality! So don’t hold back! Working a winter season in Canada can really help your CV, in a time when it is of the utmost importance to be able to stand yourself above the rest. Feel free to email Jon at [email protected] or call 01892 770771 or alternatively check out our Canada webpage. New to the list is our ski instructor course in Austria. Not only will you qualify as an Anwarter Level 1 and 2 instructor, you’ll also have a guaranteed job for the rest of the season in one of Austria’s many ski resorts. I was wondering how to apply to work in Canada. I am an American and was wondering how difficult it is to work in Canada, getting a work permit and whatnot. I am interested in teaching snowboarding and am just looking for more information on how this process works. Thanks for your comment and I hope you have enjoyed reading our blog! For some reason it is very difficult for American’s to get work permits for Canada. I really don’t know why this is when the two countries are so close to each other! We deal with, and advise people on, work permits for British Citizens applying to go to Canada. My advice to you would be to visit the Canadian High Commission in USA website and see what the eligibility criteria is for working temporarily.